Discussion in 'The National Kombi Club Bus Stop 2008' started by melissa, Apr 16, 2007. 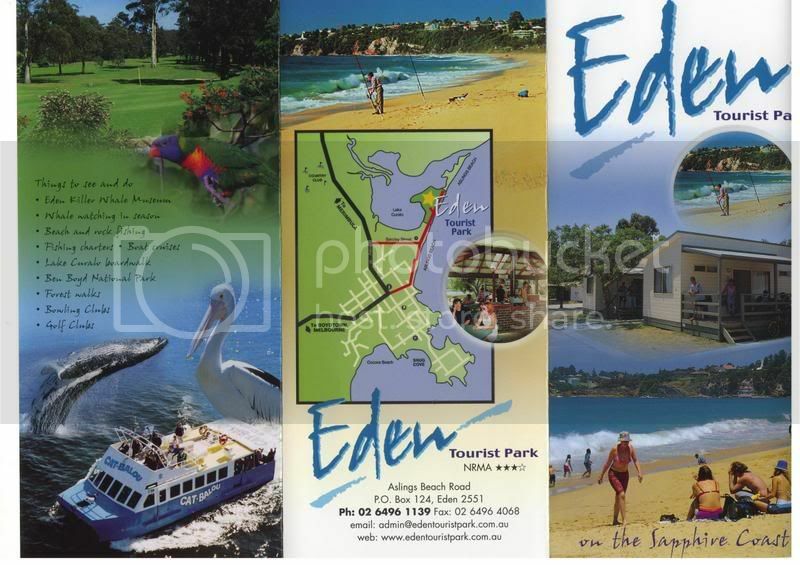 I have great pleasure in announcing the location for the Bus Stop 2008 is EDEN. 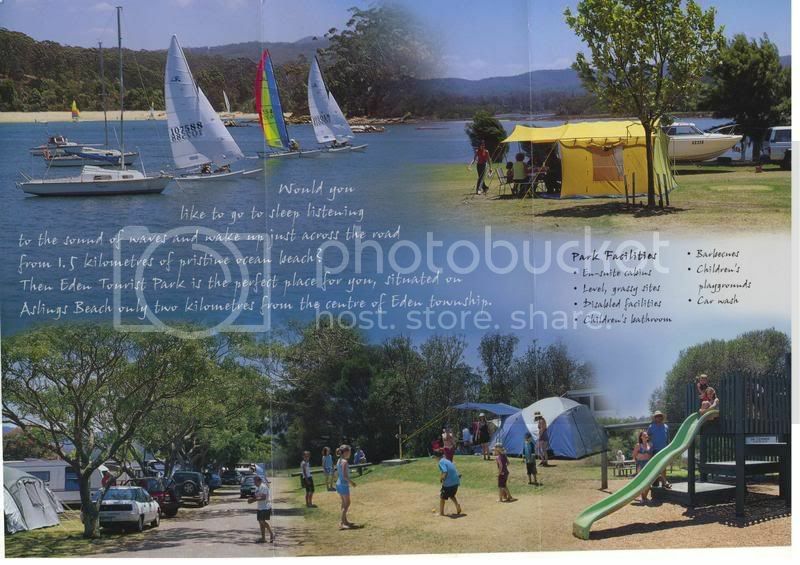 A beautiful coastal town on the Sapphire Coast of NSW, close to the VIC border. 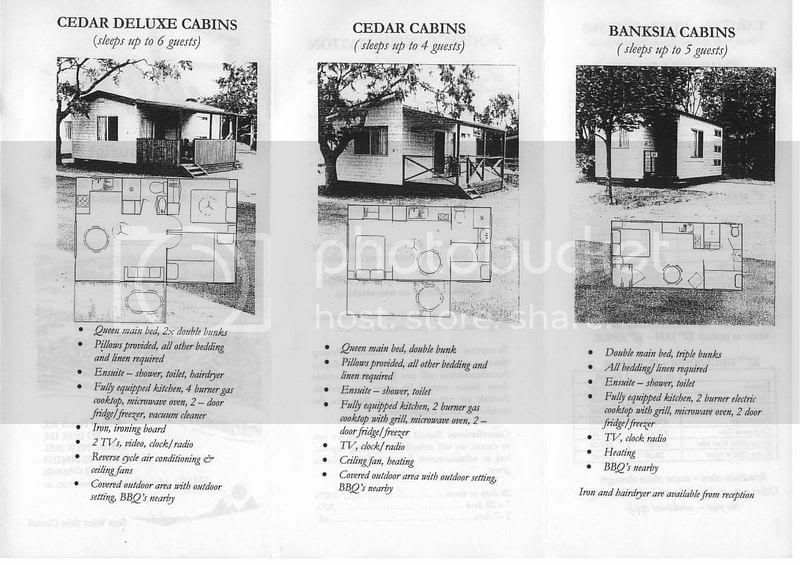 The caravan park is called Eden Tourist Park and you will find a map and photos below. 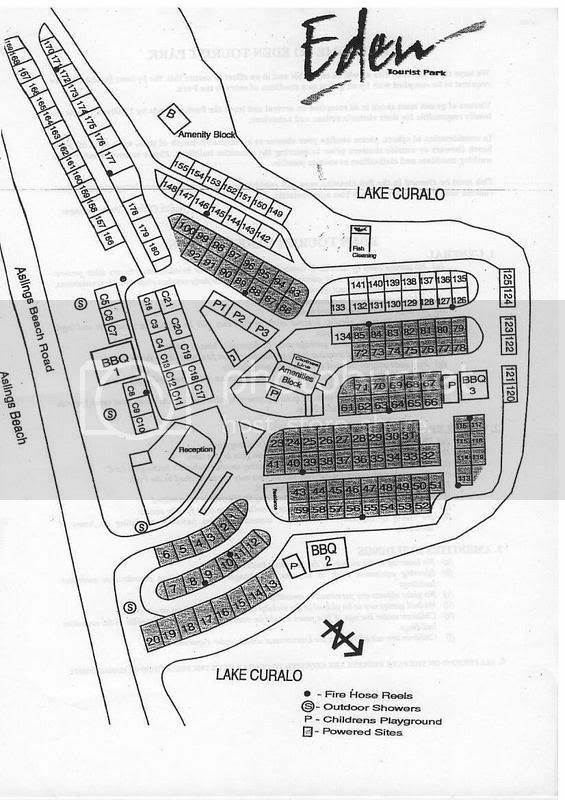 There are 100 powered sites in the park but being a popular place, I URGE YOU TO BOOK EARLY!!! Canberra was such a huge success that I would hate anyone to miss out this time. Friday 21st March to Monday 24th March. A lovely spot Eden is, too. Don't know if I can do a day trip from Sydney though. Really gonna have to earn my brownie points!!! Sounds like a perfectly charming place... is it BYO fig leaves....? It will be fun..... well done Melissa! Return to Eden, East of Eden, Garden of Eden - Its a recipe for success. Excellent Stuff Melissa, better get my map out and find out where NSW and VIC are!! Great work Melissa, now everyone just has to make sure the buses are all in order. Only 11 months to go, hope that is enough time! Easter at Eden...got a ring to it dont you think? Thank heavens you told them Melissa it's been killing me keeping the secret! "Take a boat and sail to Eden..." Richard Clapton (The Night Train, Glory Road album). How long before Necro says "Bloody Gypsy and his Richard Clapton!"? Hmmmmmm, that's a slightly longer drive. Might have to let the kidz have two toilet stops! Boy now all I have to do is book the boat,book the site save the money and more money.can anyone tell me how far from Melbourne Eden is? Cant wait. Have been reading much about the Canberra trip. Looked like a ball. 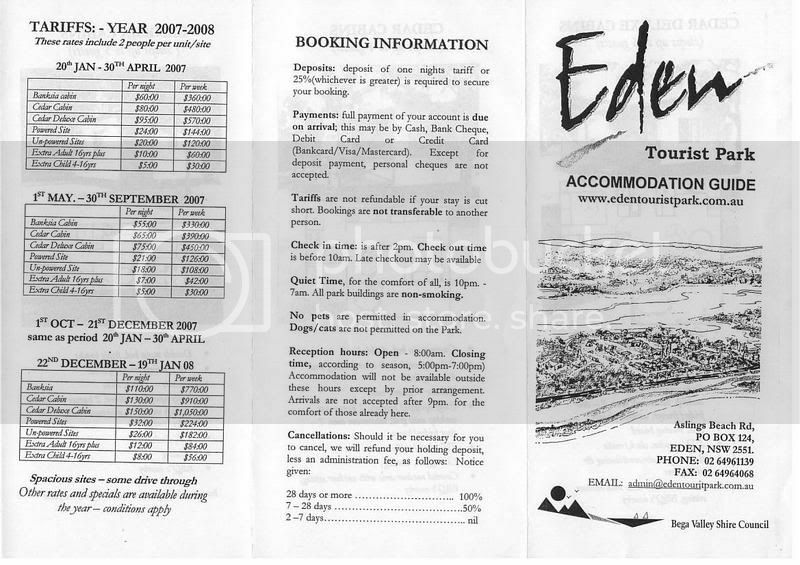 Have some great memories of Eden and what a way to return. can anyone tell me how far from Melbourne Eden is? According to google maps, 554kms. Can we still turn up without booking melissa? I can't deal in anything but cash so booking fees aren't easy!!! !